‘Bruce Cullen – Stellar Stream’ Debuts on ASOT 909 w Armin van Buuren @ Armada Music! A State of Trance Head Armin van Buuren Includes Bruce’s track on his world famous radio show, one day before the official release on ‘A State Of Trance Episode 909! What a start to an amazing journey for this new release. Much more news expected so follow Bruce Cullen on the Stellar Stream journey! Armada Music to Release ‘Bruce Cullen – Stellar Stream’ April 12, 2019 via Ørjan Nilsen’s ‘In My Opinion’ Label. Bruce says “I feel this is a definite follow up to ‘Bruce Cullen – Skyscraper‘ which made #2 on Corsten’s Countdown“. “I chose this track name as it fit in perfectly with the recent move from Denver to Las Vegas. ‘Skyscraper was chosen ‘Best of The Best of 2015’ by Flashover Recordings, made it as ‘top release’ status on the labels history. It was voted top 10 track of the month by Ferry Corsten (and top 3 of the week) & reached the top 100 on Beatport. Support: Paul van Dyk, W&W, Ferry Corsten, Blasterjaxx, Mark Sherry, Gareth Emery, Pedro Del Mar and many more. “I truly am excited to now be a part of Armada Music and on Ørjan Nilsen’s In My Opinion Label. I have traveled to Amsterdam for years, first as a fan. My love for Trance and EDM overshadowed my fan position lol. I grew up with many in this industry, along side one another. As I kept being asked to become more and more involved, I decided to jump in head first. My first tracks like ‘Princess Bay’ being invited to Tiesto’s In Search Of Sunrise compilation CD was a huge start! I feel very lucky to be surrounded my so much talent, so many names. Wow, hard to describe. Thank you everyone involved, fans, colleagues, family! I LOVE YOU ALL! –Thank You!” Bruce has his first “full blown” vocal track in the works and many more surprises going forward and in 2019. So please everyone stay tuned! April 12, 2019 ‘Bruce Cullen – Stellar Stream’ [Armada Music / Orjan Nilsen’s In My Opinion] set to go public on the global music airwaves. 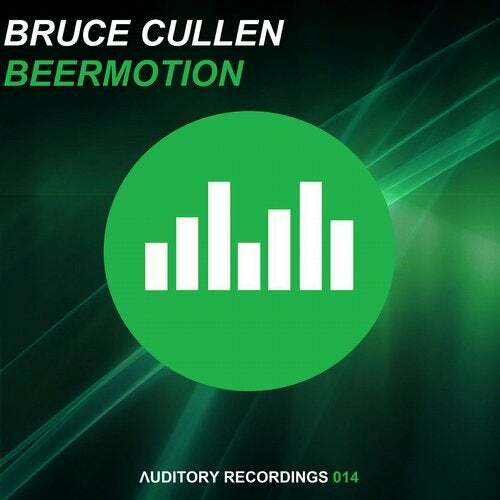 June 26, 2016 ‘Bruce Cullen – Beermotion’ [Auditory Recordings / Tiesto’s Original Label: Black Hole Recordings] Makes top 5 tracks of the year on Holland’s FM RTW.Fm, Big support by Markus Schulz, Mohamed Ragab, Simon Lee & Alvin, Andi Durrant, Andski. Feb. 9, 2015: Bruce releases ‘Skyscraper’, makes #2 on Corsten’s Countdown, chosen ‘Best of The Best of 2015’ by Flashover Recordings, makes it to ‘top release’ status on the labels history, voted top 10 track of the month by Ferry Corsten & reaches top 100 on Beatport, Support: Paul van Dyk, W&W, Ferry Corsten, Blasterjaxx, Mark Sherry, Gareth Emery, Pedro Del Mar…, the list goes on. Nov. 2013 Bruce Releases ’4 Sheets To The Wind’ [Fraction Records] with Support by Paul Oakenfold, Markus Schulz, Bjorn Akesson, DJMag, Giuseppe Ottaviani & more… makes top 100 on Beatport. July 22, 2014 Bruce releases ‘Red Rum’ [Black Hole Recordings, In Trance We Trust] in July 2013 and it’s featured as a top release on ALL major portal homepages online. May, 2013 Bruce Cullen Remixes ‘Airscape – Welcome Home’ for Johan Gielen, Bruce’s first club remix. Jan. 2013 Bruce Cullen ’1492′ [Black Hole Recordings] Tops the charts at 14th. Early in 2012 Bruce Cullen submits his 1st track “Princess Bay” to DJ Tiesto’s Original Label, Black Hole Recordings, In Trance We Trust. In Search of Sunrise Compilation CD tries to fit it in the series, Black Hole signs the track right away, releases Nov. 2012. Bruce’s 2nd Track “Rum Runners” is snatched up immediately by High Contrast Recordings, and releases Oct. 2012. Bruce is considered as an artist on some large record labels, it’s hard to ignore how fast this guy is moving into the right hands of the electronic dance music industry, he’s treated like an ACE. “A DJ Everybody Knows” ~High Contrast Recordings / Be Yourself Music, Holland. With a fan base of now over 250 million and growing with his recent residency on iHeartRadio, this is one hot dj to follow. Bruce is also a resident onTrance.Fm, another big trance music show and many others. Bruce Cullen mesmerizes the global electronic dance music scene with amazing track selections that include Trance, Progressive Trance, Progressive House, Deep House and all other Genres related to the industry. Bruce Cullen has networked with the top producers and regularly talks with the largest event organizers around the globe; it’s no wonder he’s smashing the scene on a global scale. Bruce is a great guy, handsome and ALL the rest! Bruce Cullen is directly involved with the electronic dance music industry for over 2 decades, throwing his own events: NeXT (http://NeXTPresents.Com/), bringing in top talent like Sied van Riel, Emma Hewitt and more to the dance floors of the USA for their first USA appearances. Bruce recommends http://www.eProvided.com/ USB Flash Drive Recovery, microSD File Recovery, many producers and lose valuable data. With a background in Hollywood, appearing on Days of Our lives, NBC Mini Series & music Videos with Phil Collins. With so much going on it takes some time, but as Bruce says “It all falls into place”. Bruce currently is a resident on iHeartRadio’s 250million and growing fanbase with whom it competes with the likes of Pandora, Sirius and XM Radio. There is so much to do and so little time, but Bruce Cullen is SURLY a producer to watch closely. Bruce Cullen Founder of Trance Elements (http://www.TranceElements.Com/). Back in 2002 Bruce Visited Sensation White Amsterdam Holland, Bruce was Blown Away by the Magnitude of this Event and Everything Moved Forward, his Meeting JOOP at this Same Event Placed him in the Midst of the Dutch Trance Scene. Afterwords Bruce Traveled Back to Holland at Least 10 Times, being Invited as an ID&T guest to Trance Energy, Sensation White and Black. Meeting a Large Majority of the Trance Scene Globally in only a Few Years Bruce was Bouncing from One Continent to The Next Watching, Learning and Planning the Best way to Take Trance (Also EDM) to the NeXT Level in the United States. As the founder of TranceElements.Com Bruce Continues to put out a Monthly Trance Mix (The Concoctions) on his Radio Show, a Show that has Gained Global Recognition and Respect around the Industry. Because of his Love for the Electronic Dance Music Scene Bruce has Decided to Throw his Own First Mega Event in Denver Colorado on June 26, 2010, Taking Everything a Step Even Further. Currently he is Very Busy on His First Track Release in the Studio; This Brazilian Style Trance Track will be the Anthem to “NeXT”. Continuing to Give Nothing but the Best, Pushing Events to the “NeXT” Level, Productions, etc., This Guys Future Looks VERY Promising. Global Inquiries for Bookings Already in Action, This is Definitely A DJ/Producer to Watch Closely! – This is an Event That Will Take The Globe of All Electronic Dance Music to the NeXT Level! Armada Music is the biggest independent dance music label in the world, founded in 2003 by Armin van Buuren, Maykel Piron and David Lewis (AR-MA-DA). A six-time winner of the IDMA for ‘Best Global Label’, Armada Music boasts the globe’s biggest dance music catalog of over 40.000 titles and a mouth-watering range of artists on its roster. Promoting dance music all over the world from its offices in Amsterdam (HQ), New York and London, Armada Music represents and cultivates the creative exploits of some of the biggest players in the electronic music game, including Afrojack, Andrew Rayel, Armin van Buuren, Erick Morillo, Fedde Le Grand, Gareth Emery, Kevin Saunderson, Lost Frequencies, Loud Luxury, Morgan Page and W&W. Through this star-studded dance music army, Armada Music collects over 500 million streams per month, secures weekly airplay on the biggest nation-wide broadcasting stations (such as BBC Radio 1 and Sirius XM), and frequents the top spots of the U.S. Mediabase Dance Airplay charts. Continually bringing out the best in its artists has led to various high-magnitude achievements, including Armin van Buuren’s Grammy nomination for ‘This Is What It Feels Like’, Lost Frequencies’ Diamond Award for exceeding the mark of one billion streams on Spotify and the massive success of Loud Luxury’s ‘Body’ in the U.S. and beyond. A global brand outfitted with the esteemed ‘Armada Invites’ events, three state-of-the-art, in-office facilities (The Club!, the radio studio and a brand-new production studio) and over 1 million followers across its biggest playlists, Armada Music can look back on more many wondrous years while pulling out all the stops to ensure plenty more. You Should Never Ever Look Back! I just love the idea and this set by Boris is just jaw dropping, listen at high volume with your BGFF (Best girlfriend forever) or BBFF or anyone really, it’s amazing! Bruce Cullen’s Random Techno Mix Recommendation. ~Follow Bruce Cullen on Facebook for Massive News to be Released Soon! I have traveled to Amsterdam for years, first as a fan. My love for Trance and EDM overshadowed my fan position lol. I grew up with many in this industry, along side one another. As I kept being asked to become more and more involved, I decided to jump in head first. My first tracks like ‘Princess Bay’ being invited to Tiesto’s In Search Of Sunrise compilation CD was a huge start! I feel very lucky to be surrounded my so much talent, so many names. Wow, hard to describe. Thank you everyone involved, fans, colleagues, family! LOVE YOU ALL! –Thank You!” Bruce has his first “full blown” vocal track in the works and many more surprises going forward. So stay tuned! Time in Preparing Concoction 138. I want everyone in the general public to understand how important it is to support your local electronic dance music artists. For example, picking tracks can really be difficult if you are as picky as me. Spend the extra time to say thank you to your favorite trance DJ. They will in turn have more ambition to continue, this I know. Take your time as a DJ, do not cut corners! In particular, get an assistant. Call your local college and see if you can get an intern to help out. Visit Bruce Cullen biography for much more about my career in electronic dane music. For a one hour radio show I spend about 4-5 hours listening and deciding on tracks, all in all. 1) Track selection, listening to promos sent by record labels and producers. 2) Creating the placement of tracks I spend about 1-2 hours. 3) Creating & recording the radio show live. I spend about 2-3 hours (including setup, maintaining equipment). 4) Voice-overs for the radio show take an hour (placement, editing, sound levels). 5) Mastering & checking various things 1-2 hours (edits, EQ, levels, fixes, etc). 6) Write-ups, uploads, marketing, advertising take a ton of time. I spend about 2-3 hours estimated. Maintaining accounts, etc. also take time. 7) Total about x hours. You might miss something, right? You miss it in its very basic form. Examples: That first kiss when you were like 16, 17 years old. Spending time with some deep groovy progressive trance on the HDTV, on Youtube, etc. As a matter of fact, you miss having the lights dim, a few puffs (420 style). You miss taking a late night drive to check on the stars above. Additionally, you even miss that walk with your dog around the block. Lots to miss right!? Things are just not the same. That time hiding from your girls parents in her bedroom. Or being in the same house with your girl and her parents. You might miss having that type of closeness with that special someone. So so many moments. Just be sure you have the right woman. Time warp, now you are dating some Asian girls, Dutch, etc. Don’t get hooked. Finally, spread out the wealth people. You only live once. Stop being superficial with your own beliefs. Some religions are cults, some music can have the same attributes lol. Actually, this is what I am really saying. Music and Vivid Memory Recall. You’re missing those moments and you look to music to let it all settle in. You think about all those tracks you played in the past. They bring back such vivid memories. In short, these are no ordinary memories. You can taste them, feel them and definitely hear them inside your head. Again and again and again. That flashback when you met: a beautiful woman calling you to her. With this in mind, your life was never the same again! Here is a track that pretty much covers it all, by a colleague of mine. To Begin with, Let’s Get Going: Here, is Dash Berlin. Dash Berlin – Till The Sky Falls Down (Vocal Mix). Enjoy! This track is all about these thoughts and memories you have inside your head. Therefore, it triggers those memories all over again. That’s why we are here with Bruce’s favorite tracks, in video format. Namely, songs from the past! Dash Berlin – Till The Sky Falls Down (Arctic Moon Remix).